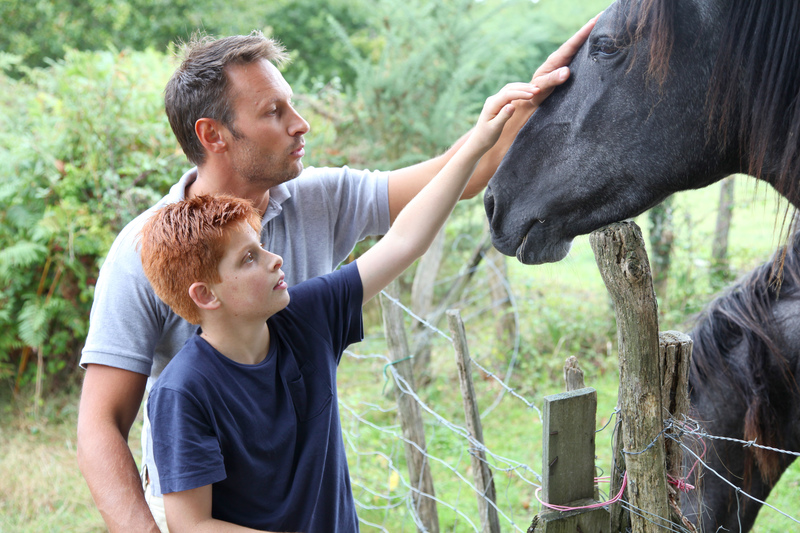 UK Fostering > Blog > Why horsing around may just help your child! Equine facilitated learning and equine therapy are growing in popularity throughout the UK and other countries. In general terms they use horses and ponies to help people learn about challenges they may be facing, and explore ways to work through these challenges. There are many types of equine facilitated learning and equine therapy. 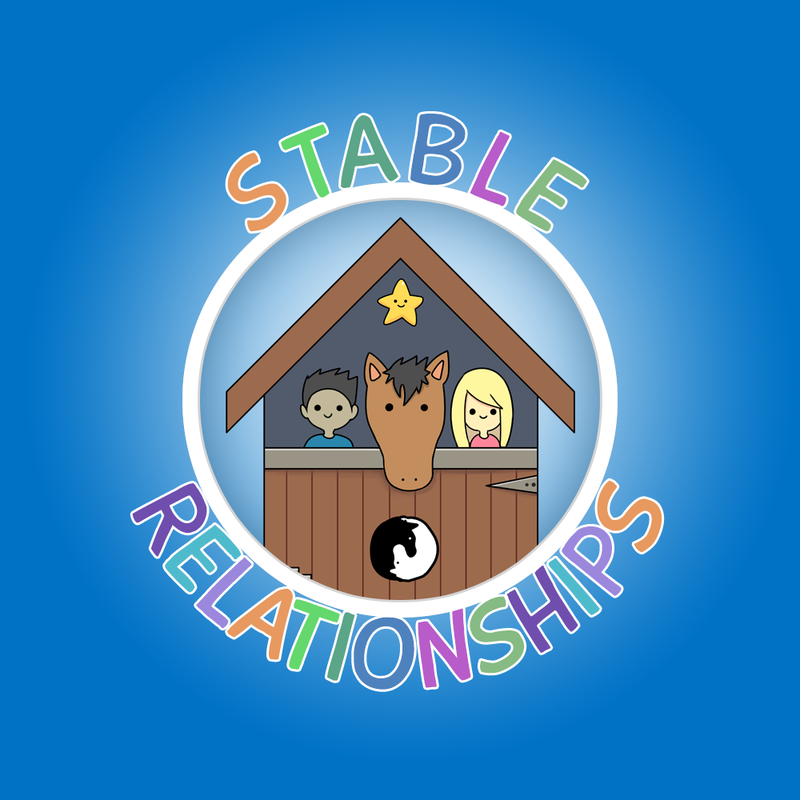 Stable Relationships has created the first programmes aimed specifically for working with children, young people, and the adults who live and/or work with them. Our programmes are unique because they combine a range of horse based and creative activities so that all equine work is grounded and integrated. Our programmes have a solid foundation linked to research on attachment theory, brain development, and learning, making them especially effective for traumatised young people and the adults who live and/or work with them. Our programmes are based on the fact that a horse is a prey animal. Due to this, they process sensory information from the world around them, in a way that can be described as similar to the way a traumatised young person would process information. A horses’ first response to sensory information can often be a survival fight, flight, freeze response. A traumatised child or young person, depending on their developmental level and experiences, can respond in the same way. An example of this is the way that a horse might be seemingly fully engaged in a riding lesson, but if a car pulls up 60 meters away, they can instantly notice, and freeze. They are hypervigilant to make sure that their environment is safe. This can be seen with traumatised young people too. When working with a young person who was, seemingly, fully engaged in a creative session someone asked the time from 2 rooms, and 2 closed doors, away. The young person shouted the time. He had been hypervigilant even though he had seemed perfectly engaged and calm. Another example could be a horse hearing a loud noise and having a huge flight response to it, when it would seem such a little thing. In a similar way, a teenager not being able to have the cereal they would like, can elicit a disproportionately emotional response. A young person who has developed a healthy attachment to primary caregiver will have a much less active fight, flight, freeze response. They will be able to process sensory information from the world around them in a way that does not activate the fight, flight, freeze response unless it is needed. A young person who is traumatised, through having not had a ‘good enough’ attachment, is likely to experience delays and gaps in their development. The earlier they suffer trauma, and the longer it goes on for, the more automatic their fight, flight, freeze response will become. When a person or horse is functioning from the fight, flight, freeze place, they are aware only of survival. This means they are unable to access the higher level parts of the brain needed for thinking about consequences, recognising and managing feelings, or putting words to their experience. When the response has become the natural way for a person to process sensory information, as it is for a horse, it can take a long time to learn a new way. However, people’s brains are capable of change! The way out of the response is to become calm. This may be easier said than done, but it can be done through changing the sensory input, and building relationships, and attachments. Horses help with this because they are perfectly attuned to a traumatised person’s way of processing sensory information, in the same way that a good caregiver is attuned to a baby’s early needs. Horses can act as a bridge between an adult trying to help and a young person trying to survive. Horses can also help because in order to interact meaningfully with them, and build a relationship with them, people need to be congruent about their feelings. If a young person is feeling scared but unaware of this, or pretending to be confident, the horse will pick up on the incongruence. The incongruence will give the message that something is wrong, so the horse will be wary of building a relationship with the young person. In the same way, if an adult is walking into a conflict situation with a young person, and pretending to be calm, but really feeling apprehensive, the young person will know and become more agitated. In this way young people and adults can become more able to recognise and modulate their emotions so that they are able to have the most meaningful interaction with the horse. The similarities between processing sensory information between a horse and a person who is traumatised make horses excellent at teaching adults how to best work with traumatised young people. We use the horse as a metaphor for a young person and experience our own feelings, and the impact they have on us and the horses, as we work through set tasks. Horses are excellent when working with young people because the young people have to become aware of their feelings, and learn to manage them, if they want to engage with the horses. It can be threatening for a young person to engage in discussions or activities that focus directly on their emotions or behaviours. When working with the horses this threat is removed because everything can be discussed in relation to the horse. For example, if a young person is learning how to help a horse feel calm, by default they will be learning to calm themselves. If they are trying to get a horse to trust them, they will be learning what it means, and feels like, to be trustworthy. John is 15 years old. He is adopted and attends a special school for students with emotional and behavioural challenges. He has depression, agrophobia, ADHD, and is prone to aggression, according to his referral form. At school he is reported to sleep a lot. School wanted him to be able to manage his feelings better and ask for and accept help. John didn’t want to leave the cabin for the first 2 sessions. He hardly spoke and was resistant to many of the creative activities. As the sessions progressed John’s confidence grew. He developed a much stronger relationship with his carer. By the third week he was chatty, keen to do any activity suggested, and starting to rely much more on his carer. During week 4 the task was to teach a horse a new skill. John was able to calm himself, so the horse would feel calm, and lead the horse up to strange objects, teaching it that they were safe. By the 6th week he felt totally comfortable around the biggest horse at the stables, and was able to assign qualities to the horses to describe and create his ‘herd’ to show us how he felt about the closest members of his family. Outside of the sessions, school reported that he was completing more work, developing friendships, managing his feelings around anger, disappointment, and frustration, and taking part in all aspects of school life. By the end of the course John was asking for help from his carer whenever he felt unsure of anything. He was riding the biggest horse at the centre, and came in for the last session telling me how he had given a speech in front of the whole school assembly. 1) A 12-week programme based on a model of stabilisation, adaptation and integration. The programme works through topics including recognising and managing feelings, trust, responsibility and choices. Each session is a mix of horse based and creative activities. It is designed for a young person and a key carer to attend together, usually at our base in Telford, although we can run it intensively over 2 days, making it possible to travel. 2) Emotional Intelligence sessions for children held at their school. The sessions focus on recognising and managing feelings, becoming calm, learning about the need to be calm to learn and social skills. The sessions use equine and creative methods and we bring our ponies to schools all over the UK! This can be a whole day programme, or over four consecutive weeks providing a more in depth emotional intelligence programme. Both programmes are linked to the PSHE and SEAL curricula. We can work with 8 students each session-so 16 in total per day. All activities are fully risk assessed and all appropriate qualifications and insurance is in place. 3) Training for adults who live/work with traumatised children (most commonly looked after children, although not exclusively). The training looks at brain development, trauma and its impact on learning. We use horses to learn about practical ways to help the young people develop and learn more effectively. This can be based at our centre in Telford or further afield upon negotiation. Previous Previous post: How Are you Feeling Today Baby Bear?